The SBL International Meeting in St. Andrews Scotland July 7-11 is rapidly approaching. The program unit Working with Biblical Manuscripts has received a number of proposals and we know we will have almost a dozen papers on various very interesting topics such as Papyrus 4, OT citations in Bezae, Amulets with NT citations, miniature MSS, Coptic and Arabic MSS and discussion about text-critical problems in the Hebrew Bible as well as the Greek NT. 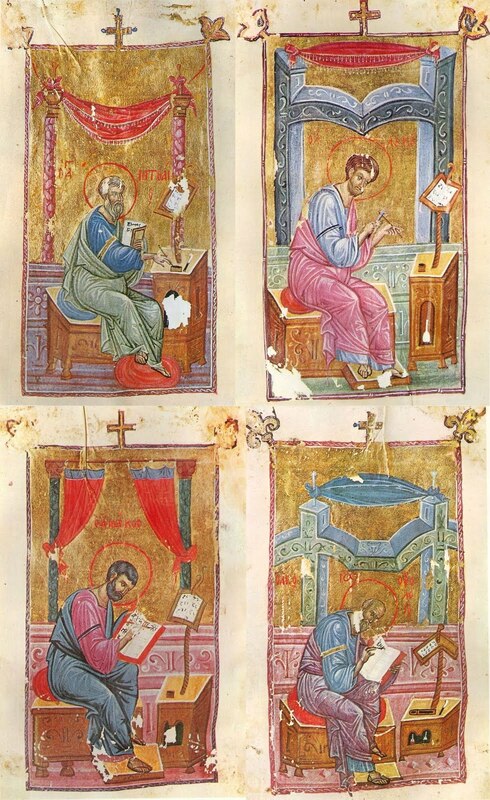 The unit seeks to foster the study and criticism of biblical and related texts — including examination of manuscripts and other sources, restoration of the text, and especially the investigation of the history of its transmission—in its Late Antique cultural context. The call for papers closes tomorrow (1 February), so hurry up and go to the SBL website, log in and submit your paper for our unit here. I strongly expect at least one British(-Australian) scholar – no names – to submit just before tomorrow midnight! Update: SBL has extended the deadline for paper submissions until 11 February. Today the online journal Marginalia is launched, and with it my review of Nestle-Aland 28. The journal seeks to set new standards for substantial reviews written for online media. The editor in chief is textual critic T. Michael Law. In my review you will find out why, even though NA28 is better than NA27, you still shouldn't throw away the old edition. There is an opportunity for a student to undertake doctoral research at the Institute for Textual Scholarship and Electronic Editing in the University of Birmingham. As part of the COMPAUL project on "The Earliest Commentaries on Paul as Sources for the Biblical Text", a bursary is available for a student to work on the Greek catenae tradition of the Pauline epistles. Candidates should have excellent language skills in biblical Greek: experience of working with manuscripts would be beneficial, as would prior research experience and a Master's degree in a related area.Potential applicants should contact Dr Hugh Houghton, the project's principal investigator, by 2nd February 2013. Please give details of linguistic ability and research experience and attach a brief CV. Additional information on the project; on ITSEE, and on the PhD advertisement. Working on a variant in Acts 17, I was faced with a whole set of issues, and was glad that this was in some sense also true for the editors of NA27/28. ὅτι οὗτός ἐστιν ὁ χριστὸς [ὁ] Ἰησοῦς ὃν ἐγὼ καταγγέλλω ὑμῖν. The main difference between the two editions regarding the grouping of manuscripts is that the variant 4 2 ιησους χριστος is no longer given as a subvariation of 2 4 χριστος ιησους. Consistent and clear. However, I was puzzling over the representation of the last variant 4 3 2 ιησους ο χριστος, simply because there is an alternative way of indicating the same words, 4 1 2. This is of course because the first and third word of the printed text are identical. And though I might be nitpicking here, I would chose for 4 1 2 over 4 3 2, simply because I think that this variant is derived from the first variant (1 2 4) rather than from the third (4 2) or from the text reading (1 2 3 4) or an untestified 2 3 4. Actually (see below) I don't think the 3 appeared anywhere except in Vaticanus. Yet, since this is open to debate, I don't think 4 3 2 for ιησους ο χριστος is 'wrong', it is simply based on a different local stemma. Second problem, what to do with the differences in listed manuscripts? I appreciate it that the witnesses added in NA28 are there. 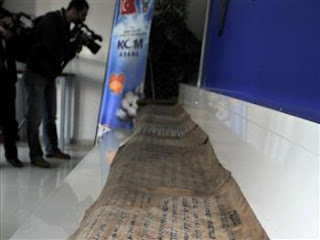 Most of these manuscripts are very interesting. In NA28 the videtur with minuscule 33 has disappeared, and as far as I can tell this is an error since the transcription of this manuscript on the NT.VMR indicates that there is the possibility of ο χς ις (reading 1 2 4, not 2 4). The image on the same website is unclear. It is good to know that minuscule 2818 used to be minuscule 36aK, which explains the difference in the last variant. The disappearance of the pauci siglum in three of the listed variants is a real loss, I like to know that there is more to know, even when I don't know what that is. The presence of pc also helps to emphasize that the text reading is found only in Vaticanus. Third problem, is the correct text printed? I doubt it. It seems to me that the text of Vaticanus is produced by intervention and, given the affinities of its text, comes straight from the 2 4 variant (2 4 to 1 2 3 4). Whether 1 2 4 or 2 4 is original is hard to tell. The former might be the result of influence of 9:22 (ὅτι οὗτός ἐστιν ὁ χριστός. ), the latter of attraction of χς to the following anarthrous ις. this group without the distortions of the literary tradition. This perspective, however, has frequently been restricted to a catalogue of errors, reducing the scribe to the transmission of an acceptable text, without recourse to the physical characteristics of the manuscript itself. the operation of pre-printing cultures, and transmit knowledge and traditions forward in human societies. effect will be made by the end of April. We call for abstracts of up to 300 words that address the objectives of this workshop. These should be sent to jennifer.cromwell@mq.edu.au by 31 March 2013. There is a report here of a 'thrilling' scoop by police on Christmas day on a 19-century old "Torah scroll", which was being smuggled. Of course the date would make it rival DSS, but from the image the manuscript looks all wrong. The letter size is too big; the number of lines too few. Further comments on PaleoJudaica. Can anyone make out any letters? René Kieffer, Professor emeritus of Uppsala University, has passed away on 8 January at the age of 82. He was born in Aumetz in France and raised in Luxembourg. After studies in Paris and Germany he felt a call to become a priest and theologian in the Dominican order in Paris. This process started with eight years of studies in philosophy and theology. Because of his interest in the Bible, Kieffer was sent to the École Biblique in Jerusalem for two years of special education in order to become a professor there, but he felt isolated in this environment and longed for a pastoral work. Eventually he came to Sweden in 1965 where he settled down. After further studies in exegesis he received a doctoral degree at Uppsala University in 1968 for his thesis Au delà des recensions? : l'évolution de la tradition textuelle dans Jean VI, 52-71 (Coniectanea Biblica New Testament Series 3; Uppsala: Almqvist & Wiksell, 1968) in which he used Colwell's quantitative analysis and other qualitative methods to test received hypotheses on different text-groups (recensions). During 1972-1989 he was Professor at Lund University, and from 1990-1995 at Uppsala University. After his retirement he moved back to Lund and continued with research and was very active in the New Testament research seminar in Lund. Essais de méthodologie néo-testamentaire. ConBNTS 4; Lund: Berling 1972. Le primat de l'amour: commentaire épistémologique de 1 Corinthiens 13. Paris: Cerf 1975. Nytestamentlig teologi. Lund: Verbum 1977. Foi et justification à Antioche : interprétation dʹun conflit (Ga 2, 14-21). Paris: Cerf 1982. Existence païenne au début du christianisme : présentation de textes grecs et romains (with Lars Rydbeck). Paris: Cerf 1983. Die Bibel deuten - das Leben deuten : Einführung in die Theologie des Neuen Testaments. Regensburg: Pustet 1987. Le monde symbolique de Saint Jean. Paris: Cerf 1989. Jésus raconté: théologie et spiritualité dans les évangiles. Paris: Éd. du Cerf 1996. La main de Dieu: Die Hand Gottes (with Jan Bergman). Tübingen: Mohr 1997. Johannesevangeliet 1-10. KNT 4a. Stockholm: EFS-förlaget 1987. Johannesevangeliet 11-20. KNT 4b. Stockholm: EFS-förlaget 1988. Filemonbrevet, Judasbrevet och Andra Petrusbrevet. KNT 18. Stockholm: Verbum 2001. The first chapter of his Evangeliernas Jesus: myt och verklighet (Örebro: Libris 2001) is self-biographical. Kieffer provides a shorter biographical and bibliographical account in English in the first part of his article "From Linguistic Methodology to the Discovery of a World of Metaphors," Semeia 81 (1988): 77-93. I first contacted Kieffer when I became interested in New Testament textual criticism around 2000. We had a long conversation and he encouraged me to pursue doctoral studies, although he declined to be my supervisor, since by then he had already retired. However, he wrote a letter of recommendation and continued to give me his support through the writing process and provided helpful comments in the research seminar at Lund University. Further, he was on the board of examiners for my thesis and subsequently wrote a very favorable review of it in Journal of Theological Studies. Apart from being a first rate scholar, René Kieffer was a gentle and warm friend. I miss him very much. The funeral will be held in Sankt Thomas kyrka, Lund, on Thursday 24 January, 1PM. An e-mail correspondent recently sent me a list of famous Bible misprints and mistranslations of which the Wicked Bible probably contains the most famous. Since I have the Hendrickson facsimile of the Matthew’s Bible I turned to it, and found no such reference. There are, however, references to this Bible at various points on the web, e.g. Paul Gardner, Parchment and Pen Blog, Marcus Tutt, and (currently) Wikipedia. I am sceptical as to whether there ever was such a Bible, but am asking all you sapientes out on the Web whether you can find hard textual evidence to rid me of my doubts. 1) The various pages referencing this all appear to use very similar wording, sometimes including context, which is a feature of internet myths, and suggests a single online textual source. 2) Use of the word ‘footnote’ for a time when notes were marginal suggests a lack of familiarity with the period. 3) The syntax ‘endevoureth’ (3rd person for 2nd), spelling (probably confusing devour and endeavour), and idiom ‘to beat the fear of God into her head’ suggest a modern, relatively uneducated, origin for the wording. 4) What would it mean for a footnote to be ‘rendered’? 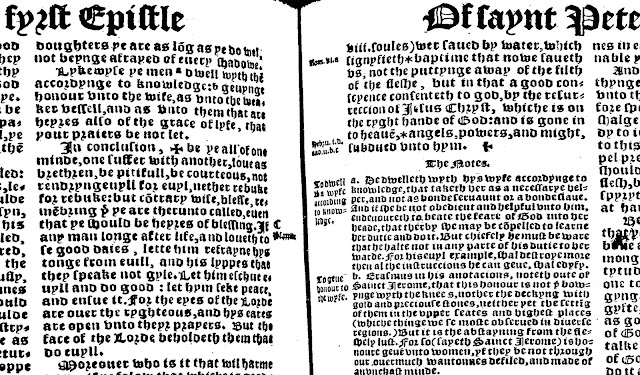 5) It would require significantly different printings of the Matthews Bible in 1537. 6) It’s the sort of drivel our age likes to invent and believe about the Bad Olde Dayes. So, friends, is there any evidence for the existence of such a version? Can anyone trace the origin of the hoax? Based on the Metzger reference in Ryan’s comment I’m now convinced that some such thing existed, though it is rather different from what is found in the various sources I noted above. The spelling above is not original. The reference to a ‘footnote’ is an anachronism. It did not occur in a 1537 Bible and is not a Matthews Bible, but what it is is less clear. Metzger says it’s closer to Tyndale than Taverner and his mention of Coverdale doesn’t make it clear that Coverdale was actually a textual source. So it’s not a hoax as I first thought, but just a very corrupt version of a historical core. Next question: where can I see a copy? “Edmund Becke’s Bibles (1549; 1551)In the short reign of Edward VI, the open Bible came once again into favor, and some fourteen Bibles and thirty-five New Testaments were printed. These were reprints of Tyndale,Matthew, and Taverner, some of them of interest only for the light they throw on the liberties that publishers felt free to take with books and parts of books in producing a “hybrid” edition. One such printer/publisher was Edmund Becke, who also tried his hand at some desultory revising. 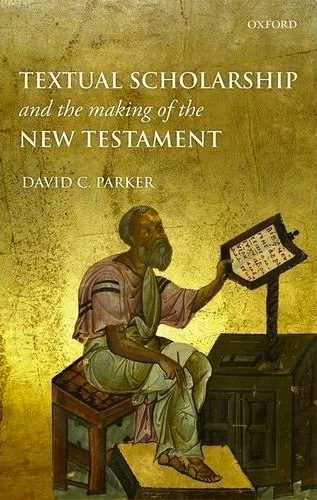 Occasionally called “Bishop Becke’s Bibles,” these comprise essentially Taverner’s Old Testament and Tyndale’s New Testament, compiled by John Daye and revised and edited by Becke. 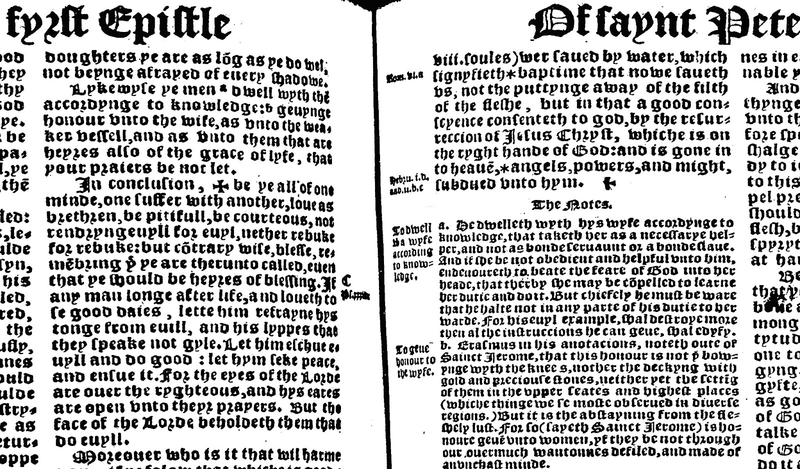 The edition of 1549 is printed in a rather peculiar black-letter type in double columns. The majority of the notes are gathered together after the chapter to which they pertain. Present also are Tyndale’s prologues, including the long prologues to Jonah and Romans (eleven pages)and that to the New Testament. The edition of 1551 includes 3 Maccabees in the Apocrypha. A cut of the Evangelist appears before each Gospel, and at the beginning of the dedication stands a woodcut initial,representing Becke offering his book to the young king, Edward VI, and instructing him in the duties of his high station. Becke’s alterations in this edition of the New Testament are deplorable. By reverting in nearly every instance to Tyndale’s version, he has done injustice to Taverner by perpetuating mistakes that the latter had corrected. A quirky RBL review of Schüssler's 2011 volume of his long-term project of cataloging Coptical biblical manuscripts. The project is prelude to a much needed critical edition of the Coptic Bible.